Milkfat And Nonfat Milk, Sugar, Corn Syrup, High Fructose Corn Syrup, Whey, Stabilizer (Mono And Diglycerides, Guar Gum, Cellulose Gum, Carrageenan), Artificial Flavor, Vegetable Annatto Color. Chocolate: Sugar, Coconut Oil, Partially Hydrogenated Soybean Oil, Cocoa, Whey, Cocoa (Processed With Alkali) Soybean Oil, Hydrogenated Palm Oil, Soy Lecithin, Natural And Artificial Flavor. 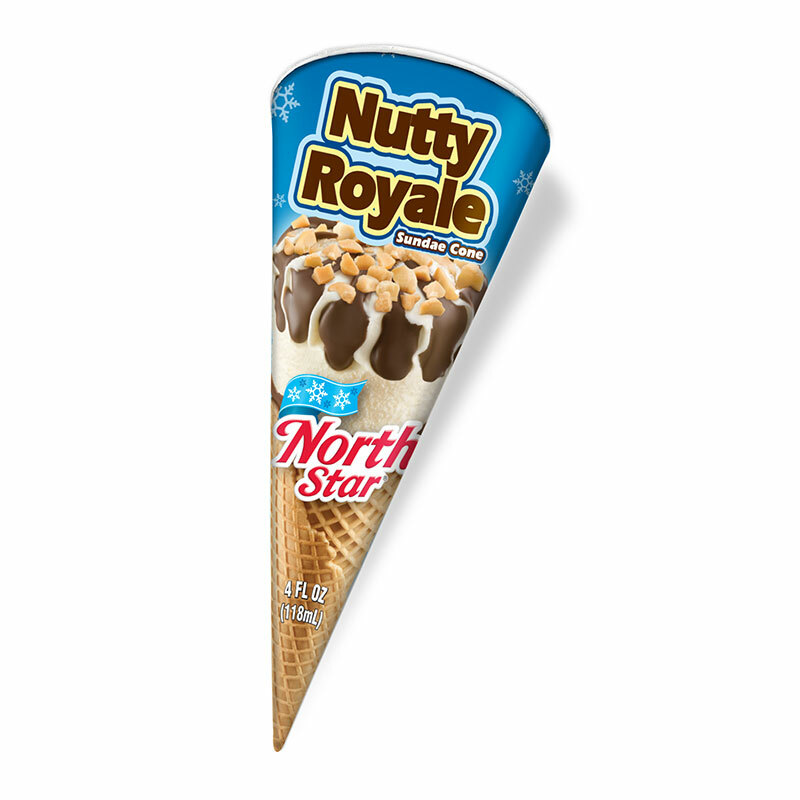 Cone: Bleached Wheat Flour, Sugar, Soybean And/or Palm Oil, Soy Lecithin, Salt, Caramel Color And Artificial Flavor. Dry Roasted Peanuts.